A couple of nights ago, despite the piled up school assignments, I was tempted to design a logo which I will post here on my blog until next year’s election is over. Like most people (I assume), the recent development in the political arena is quite something that should be of concern to us Filipinos. Once again, we see a circus of events and a mix of personality that seems to make a mockery of our intellects or whatever is left out of it. Politicians are now more active than ever with a few more months before the May 2010 event. Unfotunately, their sudden activity doesn’t translate to any benefit to the majority but on the contrary, large sums of money, likely from the taxpayers, are once again circulating to benefit these self-serving individuals. …not get suckered into believing that those mingling with the poor are immediately for the poor. …not get emotional and get carried away into picking one because he is related to someone we adored so much. …not blindly follow someone because he said was called by god to lead his people. …not get jiggy with political campaign jingles (or songs) because most likely it’s there to sugarcoat our tamang akala. …not believe when they say that the info ads were paid by friends (and if it were, these friends will likely get a favor in return). Let’s take a look what they really can offer and if they can get that offer done in the end. Let’s be properly informed and then let’s decide who gets to take our country’s top seat. Remember that after 2010, there will be another 6 more years. Let’s rub off the thought that we can just go back to EDSA again, hold hands, say a prayer, sing another mushy song, wear yellow or whatever color is IN and kick (figuratively or literally) whoever is in power and then do it all over again. 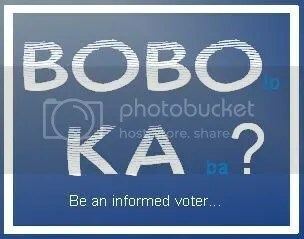 Being an informed voter isn’t easy but at least let’s try our best to be one. O ano, BOBOto KA nga ba? Sana oo. A couple of weeks ago, I had an interesting exchange of argument coming from one of those who commented my Facebook note (linked from my blog site). My then FB friend digress from the main topic, Dead but not gone which is about Cory Aquino, and the discussion went from good to bad. It ended with me being implied as a hypocrite. Ouch. It started when I said that I’m just hoping that confettis won’t be used during the funeral as consequently this symbol of honor, respect and even sympathy will end up as garbage on the streets and finally, will clog our already restricted, if not full, drainage system. Sadly, my concern about its effect to the environment was fully misinterpreted. If it was out of ignorance or just the then overflowing emotion about the late ex-president’s death, I don’t know. Being called a hypocrite is unpleasant no doubt, but that discussion hit me like a loud wake up call. True, I do things that contribute to the environmental problem – drive a petrol-powered car, buy and consume non-organic food, wear synthetic clothing, uses cleaning solvents that may contain hazardous chemicals that contaminate our waters, etcetera. But do I have a choice? Like many others, the answer is most likely no. But can I do something about it? The answer is a big YES. I'm likewise bringing my mug to school (whenever possible) - save on Starbucks, save the planet. Right now I swear to step up from what I’ve been doing already – garbage segregation even if I’m quite sure the garbage collectors pile them up the truck among other wastes; making sure that our car is in tip-top condition; minimize the use of electricity; conserve water; and other things according to the 3 R’s – Reduce, Re-use and Recycle. To walk the talk I started it last saturday when I brought along a sandwich to school without the plastic wrapper and foil, and instead placed it inside a Tupperware container which is reusable. 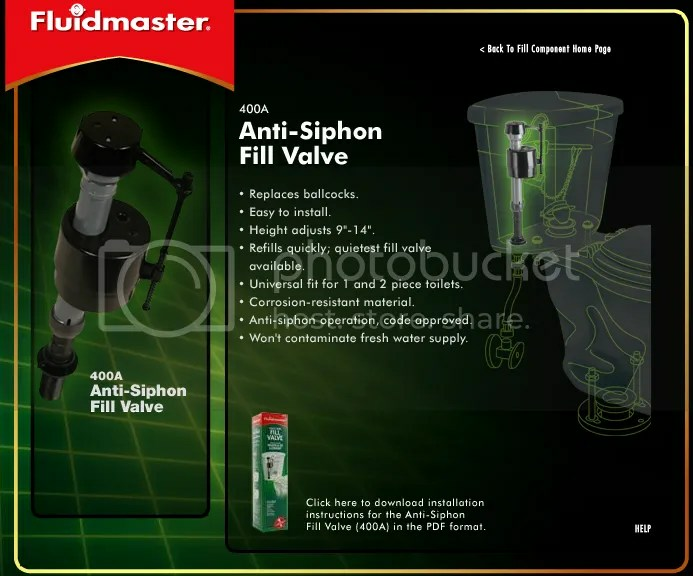 And just today, I fixed a defective toilet fill valve even if it means I’d be spending out of budget, and to mention being sweaty and dirty during the whole installation (although it took me just 10 minutes to do it). So there goes. I’ve somehow gained something out of that FB argument and will try to see what more I can to do to save the environment…and avoid once again being tagged as a hypocrite. Ti abi. Remember the saying, “give credit to whom credit is due”? Well, this is what I’m doing right now. After weeks of preparing for this day and setting my mind that today I’d be needing extra patience because I’m going to deal with people inside the municipal hall to have myself registered as a voter for next year’s election, I was actually surprised how everything went unexpectedly fast. Contrary to what I’ve heard from personal feedbacks and from the tri-media news, the registration process was a breeze. 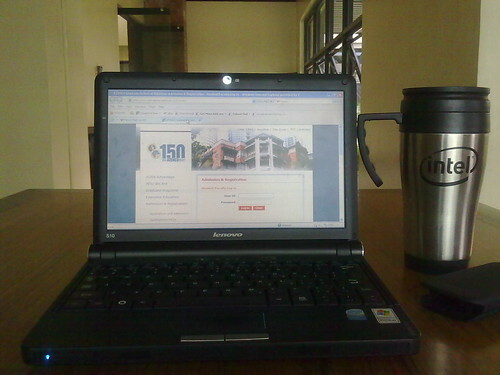 I was already readying myself to spend at least a half day inside the municipal hall when I got stuck in the verification (first step) because the personnel has to leave his table every time just to go to another floor where the computer is located. But no cursing of any form came from my side – I brought along a book to read in anticipation of a long day. But guess what? I was wrong. After the inefficient step one, the next steps went so smoothly that after I had my picture taken I asked the personnel twice if the registration is indeed over. So despite the recent exposés (from news on TV) like overpriced voter’s ID lamination and registrations ending way ahead of time thus leaving registrants frustrated, this time I’m giving credit to the Comelec people (probably some are volunteers) of Dasmarinas, Cavite. Hopefully it will remain this way until the last day of the registration process. Of course, it will help a lot if soon-to-be voters will not wait for the very last day and cram themselves inside the municipal hall which for sure will have an impact to the efficiency of both the Comelec personnel and their usually frail computer system. Late last night, while just several kilometers away from home and while cautiously avoiding a number of potholes that seem to appear out of nowhere (every night), I noticed a black car with its hazard lights on coming from my right side view mirror. The sleek car has a low and wide profile and as it overtook me, I saw that it has this appealing 4 overlapping ring emblem – it was an Audi. Other than being fascinated at the rare sight of one lovely car, I was as well shaking my head (just as much as the bob head on my dashboard did) in disbelief while this Audi attacked the potholes and the uneven asphalt patches. The Audi’s low profile, and probably the stiff sports suspension, made it act just like a stylus in a phonograph does – it went up and down, left and right as dictated by the bumpy and rough road. I don’t know if its driver cared less, but I was thinking that luxury cars such as this just aren’t meant for the Philippine roads…well, unless, he’s among those who are getting their car maintenance fees from the bottomless taxpayers’ fund. Hmmm. Pare ganda a, ang itim at ang kintab…pwede ba mahipo yan TT mo? Sige pero wag masyadong diinan ha…bibigay ko yan sa girlfriend ko. If you didn’t understand this conversation, good for you. If you did, fine. But if you did and you smiled…well, just call it an Audi next time.